Breathtaking custom home that fits a family of all sizes!! The home features interior space with open concept living room/kitchen, separate family room upstairs, 4 bed 2.5 baths. Master Suite has separate sitting room and private deck. 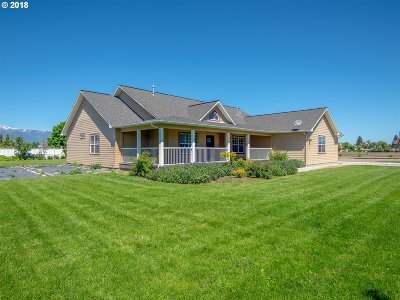 Outside features Cedar hand crafted back deck with hot tub, attached garage, custom 3 bay shop that is 42'x42'x15' m/l with bays large enough for a semi-truck!! All this on a private setting on 1+ acre.